Who better to give us short, bittersweet glimpses of early 20th Century life in America than an actual American icon? The man who would soon create the still famous Uncle Sam recruitment poster (based on his own visage), James Montgomery Flagg began illustrating these “little incidents” for newspaper readers in 1913. 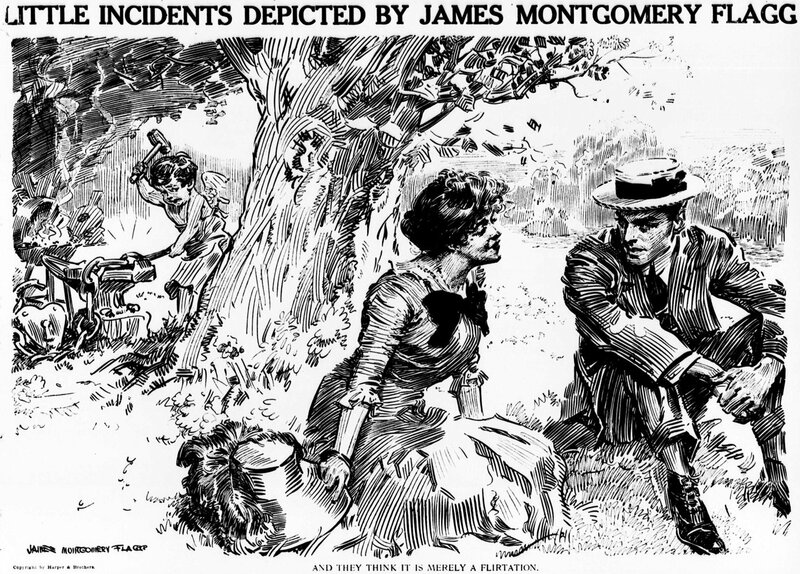 The tropes JMF tackles in these snapshots from a century ago are still very much in play today, from youthful fashion upsetting the older generation to the sting of finding that first gray hair. Needless to say, there’s some crazy talent on display here; do yourself a favor and visit our JMF archive today!